Thorsten Benner is Director of the Global Public Policy Institute in Berlin. Wolfgang H. Reinicke is the founding dean of the School of Public Policy at Central European University in Budapest and President of the Global Public Policy Institute. In April, when German Chancellor Angel Merkel congratulated Hungarian Prime Minister Viktor Orbán on his reelection, she let it be known that his large majority implied a“special responsibility” to use good judgment and behave with sensitivity toward opponents. He has done exactly the opposite. Indeed, Orbán has consistently defied the European Union’s core values and practices. Taking a page from Russian President Vladimir Putin’s playbook, Orbán has wielded his Fidesz party’s two-thirds parliamentary majority to push through a number of laws that attack what freedom remains in Hungary’s media, civil society, and academic community. In his latest move against the media, Orbán has implemented an additional 40% tax on advertising revenue, in order to take down RTL Klub, Hungary’s last independent-minded television station. Meanwhile, he is tightening the screws on local civil-society groups, run by what he denounces as “paid political activists who are attempting to enforce foreign interests.” For example, he has sent government auditors to harass Norwegian government-funded NGOs promoting civil liberties and human rights. And last month, the parliament passed a law mandating a government-appointed supervisor for each Hungarian university, with budgetary authority and veto power. In a recent speech, Orbán revealed that his ultimate objective is to build an “illiberal state” on “national foundations,” citing authoritarian regimes like Putin’s Russia, Recep Tayyip Erdo?an’s Turkey, and China’s one-party state as role models. He then asserted that these plans do not conflict with his country’s EU membership. One might expect European conservatives, in particular, to react strongly to Orbán’s actions, which discredit their entire political movement. But they seem determined to continue treating Orbán with kid gloves, even as he spurns liberal democracy. For starters, EU Commission President-designate Jean-Claude Juncker has remained silent on Orbán’s actions. Meanwhile, Merkel, the EU’s most influential politician, has expressed only moderate criticism, saying in May that she is “certainly not in agreement” with all of his policies, and often does “not quite agree with his tone” of certitude. As if these statements were not weak enough, she tempered them further by emphasizing that this failing was not exclusive to Orbán. But the most problematic reaction has come from the European People’s Party, the center-right umbrella grouping to which Orbán’s Fidesz belongs. In April, then-EPP President Joseph Daul praised the Hungarian leader for renewing public confidence in the government with honesty and “courageous” economic reforms. This response has convinced Orbán that behaving like a populist autocrat in the center of Europe does not pose any political risk, and has emboldened him to press his crusade against liberal democracy further. The only way to stop him – and to protect the EU’s fundamental values, not to mention its self-respect – is to offer him a clear choice: act like a democratic statesman or become a pariah. Given that Germany is Hungary’s most important trading partner, Merkel should lead the charge, rallying Juncker and the new EPP president, Manfred Weber, behind a set of tough and credible measures. These should include, first and foremost, the exclusion of Fidesz from the EPP faction in the European Parliament, to be readmitted only if and when Orbán changes course. Second, Merkel must make it clear that Orbán will face severe sanctions if he continues on his present path. As Sweden’s EU Affairs Minister Birgitta Ohlsson has proposed, EU funds – which Orbán distributes to his supporters – should be withheld. Moreover, Orbán should be put on notice that Hungary’s EU voting rights could be suspended, based on Article 7 of the Treaty on European Union, which spells out penalties for a “serious and persistent breach” of common values. Third, the EU must create more effective mechanisms for monitoring the democratic health of its member countries. To this end, European leaders must flesh out the rule-of-law initiative that Denmark, Germany, Finland, and the Netherlands proposed last May. At the very least, they should task the European Agency for Fundamental Rights with providing a regular assessment of democracy and basic rights in European countries, and authorize corrective action by the European Council and the Commission against countries that perform poorly. Finally, following Norway’s example, European countries should increase support for civil-society initiatives that are under pressure from Orbán’s government, and find innovative ways to support independent media. With all of Hungary’s public media outlets singing Orbán’s tune, Radio Free Europe and Deutsche Welle might consider launching Hungarian-broadcasts. If Orbán succeeds in building an illiberal state within the EU, others might be encouraged to follow suit. Fortunately, the EU and its members are far from powerless to prevent such an outcome. All that is needed is the political will to confront the clear and present danger to democracy that Orbán poses. If Orbán were active in Germany, the Federal Office for the Protection of the Constitution would likely be pursuing him for his anti-democratic activities. It is time for Germany to promote its constitutional principle of wehrhafte Demokratie, a democracy capable of defending itself, to the entire EU. This commentary was first published on Project Syndicate. Liberals never win at the end of the day, they won’t fight for their beliefs, Ukraine is a classical example of liberalism gone astray. Orbán is facing a massive debt, Hungarians have no love for Ukrainians –like Estonians vs Russians, and the EU, in all it’s magnificent stupidity, just shut down it’s eastern members main export markets. But Orbán is a problem? The illiberalism for Orban could be better translated as “not necessarily politically correct.” It is not a lack of democracy, or something like that. 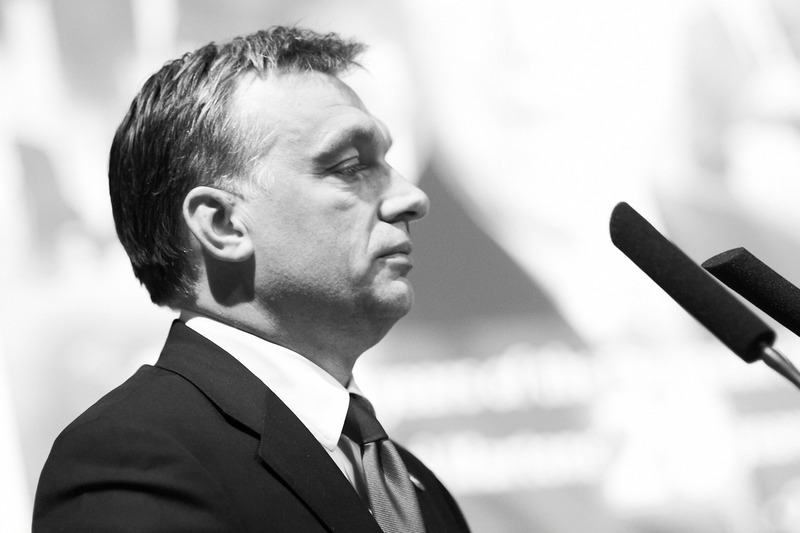 Orban wants to point out that societies based on their extreme liberal ideas do not work. In my words, the result is a deteriorating education, high crime, very few children, unheard amount of poor and socially excluded, a falling apart society. Additionally, the GDP is not growing and the debt is increasing. Other European prime ministers made similar statements. In his speech about “illliberalism” he mentions Singapore, China, India, Russia, and Turkey (in this order!) _not_ as an example. He does not want to implement the Indian political system. Also, these countries are very different from each other. He mentions these countries as examples of countries coming up rapidly. Europe has to compete with them. My own words: some of these countries are more successful in improving the life of their population with the possibilities they have , than European countries. Europe is in a very good situation, has many resources, but produces ZERO GDP GROWTH and is wasting the future of its people. See Greece, Spain, Italy, etc.